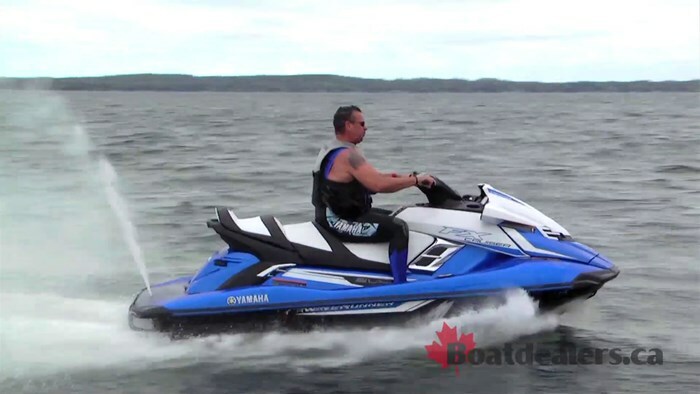 Yamaha’s flagship in their impressive lineup of WaveRunner offerings features an extensive list of technology innovations and riding solutions. Unique to Yamaha is their manufacturing process and the FX Series utilizes the second generation of their proprietary NanoXcel hull, deck and liner material. What this means to the rider is a machine that weighs 46 lbs less than her predecessors without sacrificing any structural integrity. 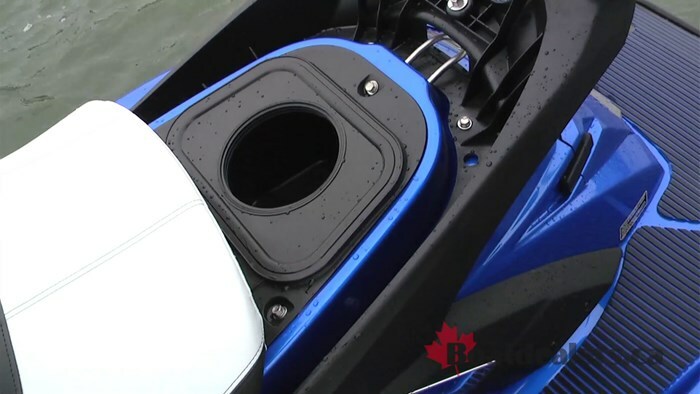 Yamaha’s intuitive RiDE system features a right handlebar lever for forward and a left for reverse. The left handlebar will also slow you down at any speed. 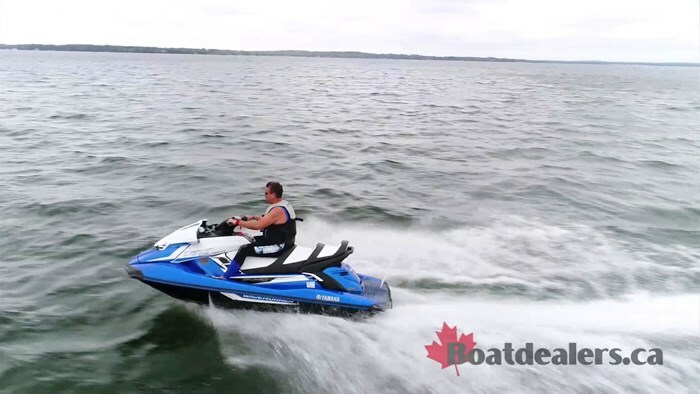 Simply releasing both levers the WaveRunner is in neutral without the need for shifting gears. 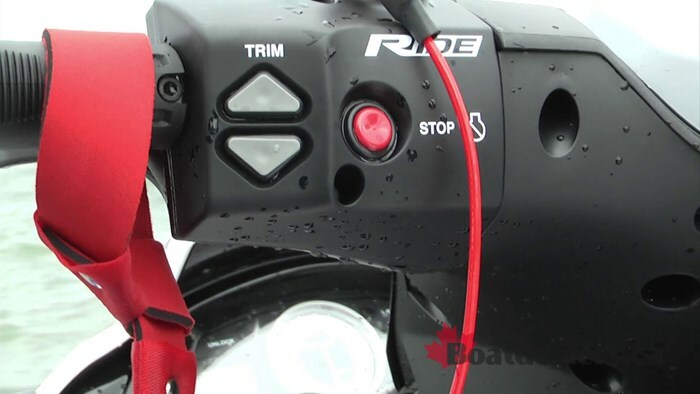 The RiDE system truly delivers an exceptional riding experience with great control at all speeds. The FX Cruiser SVHO also features an electronic five position trim system allowing riders to find their own preference of a loose and playful experience or a more planted, high performance experience. 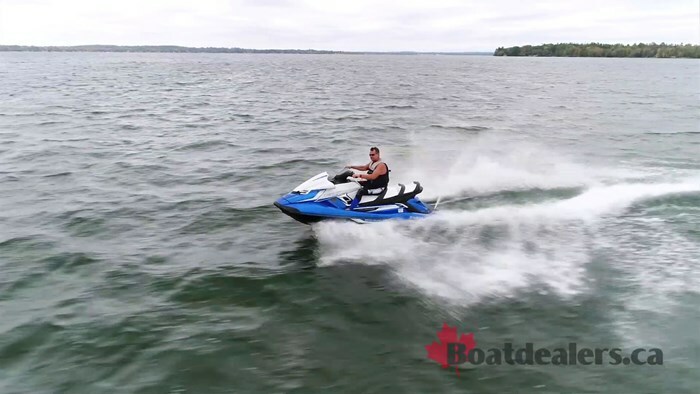 Yamaha’s own Cruise Assist and No Wake modes deliver a consistent riding experience when cruising or towing and at the simple push of a button allow riders to act responsibly in long no wake zones. The 3-person elevated, theater style seats offer great viewing for all riders, the adjustable handle bars quickly allow you to choose your preferred position and Command Link controls feature easy to control information on speed, RPM, fuel level, low fuel warning, low oil pressure warning, battery voltage, overheat warning, a check engine light with a self-diagnostic function, hour meter and water temperature. The FX Cruiser incorporates the industry’s first remote transmitter – at the touch of a button owners can activate the digital security system and low RPM mode. 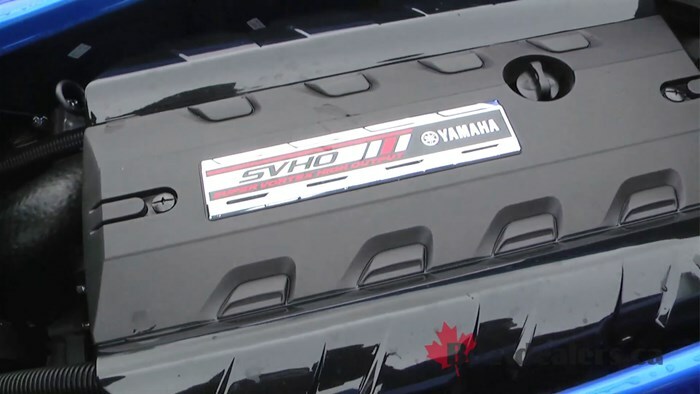 Underneath the seat we found the heart of the SVHO – a Yamaha 4 stroke, 4 cylinder, supercharged and intercooled, 16 valve Super Vortex High Output engine. 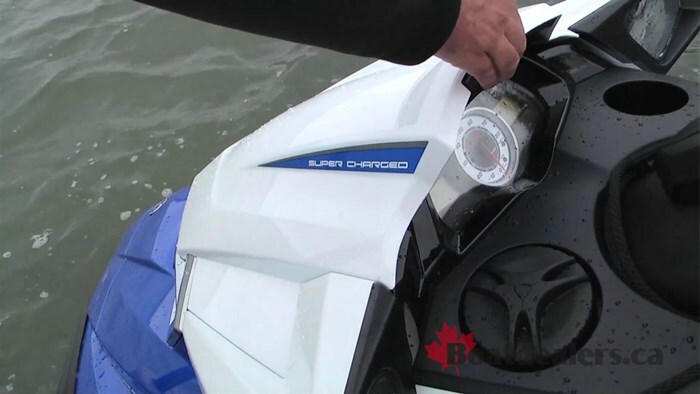 This package delivers 20% more power and torque than any previous Yamaha power plant. 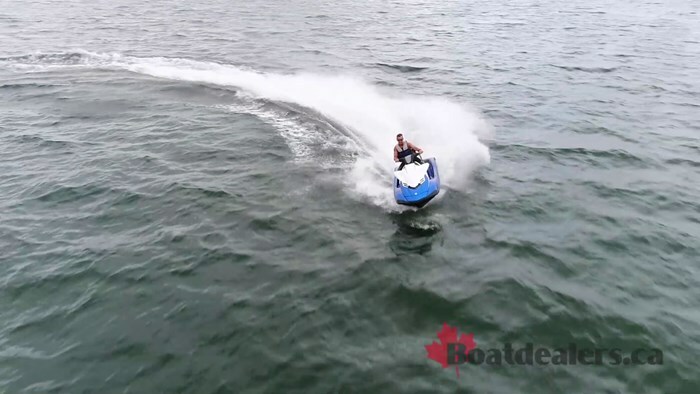 The engine is packaged with a race inspired 8 vane 160 mm pump that delivers exceptional thrust. 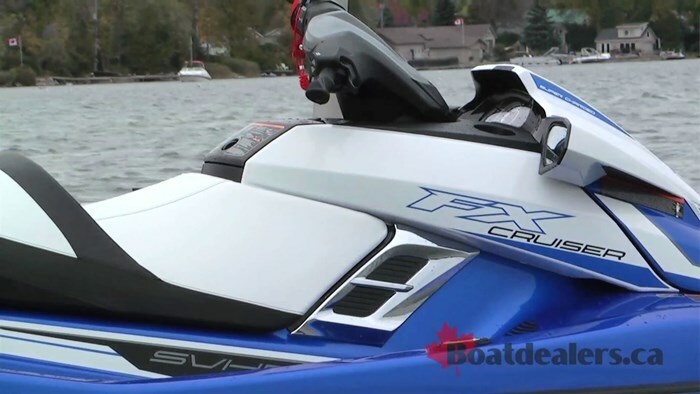 The riding experience of the FX Cruiser SVHO was in a word – exceptional. At a dry weight of 836 lbs (379 kg), carrying a full 18.5 US gallons (70 L) of fuel she behaved like a nimble 2 seater. The FX was exceptionally quick out of the hole, she turned on a dime, she was a perfect combination of stable and yet playful and the electronic trim was truly simple to use. 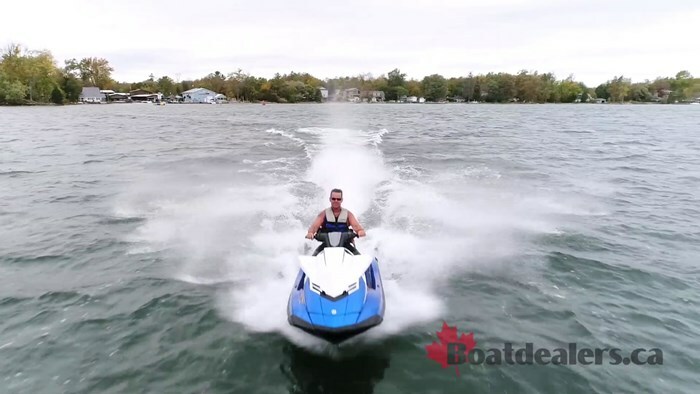 In a world where consumers have so many choices in personal watercraft, the Yamaha FX Cruiser SVHO really delivers an over the top experience where high performance meets comfort and a dynamic driving experience is perfectly paired with high end luxury appointments.